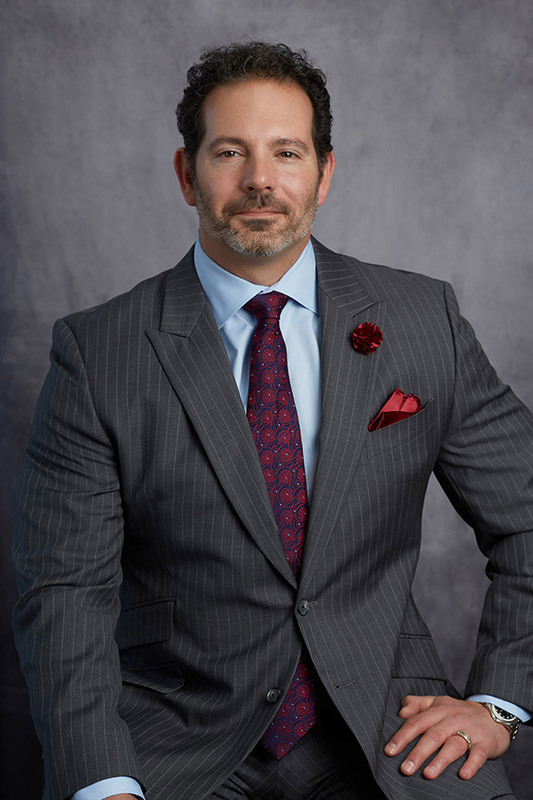 Steven R. Sarkisian, Jr., MD, is the founder and CEO of Oklahoma Eye Surgeons, PLLC. He specializes in premium cataract surgery and glaucoma surgery, with a special interest in helping his patients be glasses-free and performing minimally invasive glaucoma surgery (MIGS). He implants premium lenses such as the Symfony and Restor Activefocus, with or without toric correction for astigmatism, and was the first surgeon in the state to perform the iStent, iStent Inject, the Xen Gel Stent, and canaloplasty. He was the first in the U.S. to use the OMNI device and the first in the world to use the TRAB360 and VISCO360 surgical systems, the predicate devices to the OMNI. Dr Sarkisian is the former director of the glaucoma service and fellowship at the Dean McGee Eye Institute and the former Clinical Professor of Ophthalmology at the University of Oklahoma in Oklahoma City. Born in Philadelphia, Pennsylvania, Dr. Sarkisian received his undergraduate degree from Wheaton College in Illinois, where he graduated with honors. Following college, Dr. Sarkisian did graduate work at Westminster Theological Seminary in Philadelphia. Remaining in Philadelphia, he received his MD degree from Jefferson Medical College followed by an internship at Chestnut Hill Hospital. Dr. Sarkisian completed an ophthalmology residency at the State University of New York Health Science Center (SUNY Downstate) in Brooklyn, New York, and did a fellowship in glaucoma at the Hamilton Eye Institute at the University of Tennessee Health Science Center in Memphis, after which he was asked to stay on the faculty where he served until July 2006. Dr. Sarkisian joined the faculty at the Dean McGee Eye Institute in August 2006 and rose to Clinical Professor in 2014. In 2018, he formed Oklahoma Eye Surgeons, PLLC, elevating his commitment to excellence in patient care by curating each patient experience from start to finish with grace and compassion with the help of his superlative team at OES. Dr. Sarkisian has an active interest in surgical innovation for the treatment of glaucoma with involvement in numerous clinical trials, particularly involving MIGS. He is a primary investigator (PI) in the iStent Supra Trial, a multicenter, prospective clinical trial investigating this new supraciliary stent for the treatment of mild to moderate glaucoma. He is also a PI in the iStent Inject Trial, another large FDA pivotal trial investigating the next generation trabecular microbypass stent, and the iStent Infinite Trial, a stand-alone trial of three iStents. He was a PI for the Compass Trial, the FDA trial that lead to the FDA approval of the CyPass supraciliary micro shunt that is now being implanted. Finally, he is a PI in phase 2 and phase 3 of the Glaukos iDose Trial, the FDA trial investigating a new sustained release medication implant that, if successful, will potentially replace the use of eye drops for this class of IOP-lowering drug. Other clinical trials where her served as a PI include The Ologen vs. Mitomycin-C Study, a multicenter, prospective randomized trial comparing these two methods of wound modulation in glaucoma filtration; the Ex-Press vs. Trabeculectomy Trial (XVT Study), the Ahmed-Baerveldt Comparison Trial (ABC Study); and the pilot studies which have taken place for the EagleVision glaucoma drainage implants. He has been a co-investigator on the Trabeculectomy vs. Tube Study (TVT Study), the Primary Trabeculectomy vs. Tube Study (PTVT), the Inn Focus Micro Shunt Trial, and the Anecortave Acetate Study. Due to his involvement in the development of new glaucoma technology, he has been active in presenting and publishing his work both in America and internationally. He co-authored the book “Minimally Invasive Glaucoma Surgery, a Practical Guide” in 2016. Dr. Sarkisian currently serves on the Editorial Board of the Journal of Cataract and Refractive Surgery as well as on the Editorial Board of Glaucoma Today and Glaucoma Physician. He is also an editorial reviewer for numerous ophthalmology journals. Additionally, his professional service currently includes membership on the glaucoma program committee for both the American Society of Cataract and Refractive Surgery (ASCRS) and formerly on that of the American Academy of Ophthalmology (AAO). He has served as a moderator and speaker at the annual meetings of the AGS, WGC, WOC, ASCRS, European Society of Cataract and Refractive Surgery, the World Glaucoma Congress, the World Ophthalmology Congress, and the AAO. He is the past Program Chairman for the University of Oklahoma Department of Ophthalmology Annual Ophthalmology Symposium and was nominated by the American Glaucoma Society (AGS) to be a consultant to the FDA Ophthalmic Device Panel, where he has served since 2009 and has served as a member of the multi-media committee of the AGS. Dr. Sarkisian is listed in Woodward/White’s “The Best Doctors in America”, Castle and Connelly’s “Top Doctors”, Oklahoma Super Doctors, and “America’s Top Ophthalmologists” by the Consumers’ Research Council of America. He is also listed in Cambridge Who’s Who and the Global directory of Who’s Who and has been listed in “The Best Doctors in Oklahoma” by Oklahoma Magazine. Certified by the American Board of Ophthalmology, Dr. Sarkisian is a member of the American Glaucoma Society, the Chandler-Grant Glaucoma Society, the American Academy of Ophthalmology, the American Medical Association, the American Society of Cataract and Refractive Surgery, the European Society of Cataract and Refractive Surgery, and numerous other international, local, and state ophthalmology societies. He and his wife Anne have four children and reside in Edmond, Oklahoma.